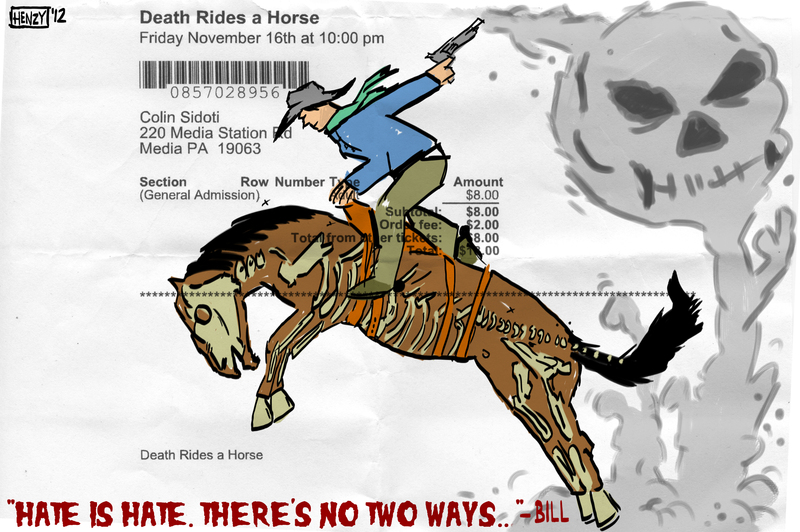 I went and saw Death Rides a Horse at the Colonial Theatre in Phoenixville last night. We both drew on the stubs from Return of the living Dead and we decided to do the same this time. My friend Colin and I have decided to make drawing on the ticket stubs part of our movie going experience at that theatre so here are our ticket stubs from the film. 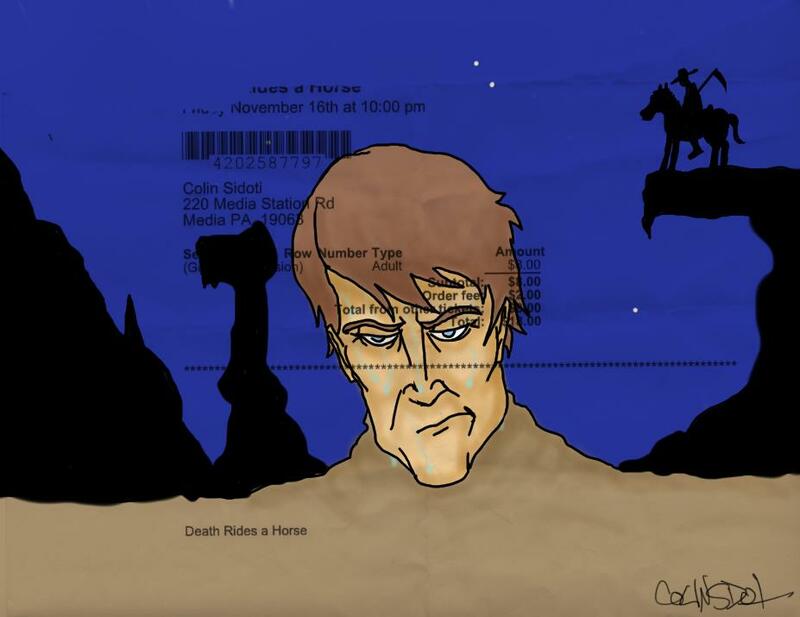 We didn’t impose any rules on ourselves so we will have complete freedom each time (for instance for Return of the Living Dead I drew on the ticket in pen and colored it in Photoshop, this time I did all the art in photoshop).